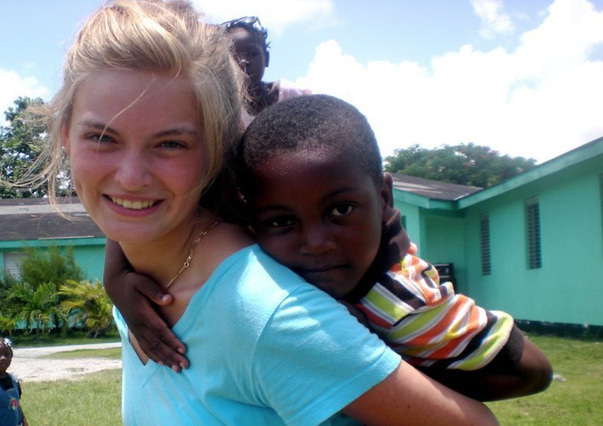 The Victoria McGrath Foundation was created in 2018 to honor the memory of a remarkable young woman, Victoria McGrath, committed to bringing hope and care to vulnerable and underserved people. Come kick off marathon weekend with us at the B.A.A. 5K run on Saturday morning 12th and the marathon on Monday 15th April. We’re thrilled to have a team of 30+ B.A.A. 5K runners and Kate Perkins will be running the marathon! Together, we will run for Victoria and raise funds to make a difference in providing care for children and their families with special needs. Our sponsored charities are Joni and Friends, and the Carter School in Boston. On a sunny September afternoon Boston Mayor, Martin J. Walsh, and Northeastern President Joseph E. Aoun, introduced the William E. Carter playground and the Victoria McGrath Tot Lot to the City of Boston. The Tot Lot area is a colorful space with water features, gardens and equipment specifically designed for children with disabilities. The vibrancy of the playground is complimented with the backdrop of the Back Bay skyscrapers.